This is an incredibly rare drop from Uldaman. I've been lucky enough to get two of these in the past from my intensive farming sessions, but it is by far one of the hardest items I've actually managed to get. 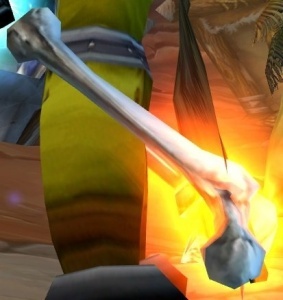 It's up there with glorious legplates, if not even harder to farm because of the lack of mobs that can actually drop this. I look forward to reading about other items! Thanks in advance. EDIT: Thanks for the great feedback so far. I hope this becomes a valuable resource for you goblins who, like me, love to go out and get the rarest treasure possible!